While I enjoy watching criminal shows and mysteries on television, I don't usually read those types of novels. The few times I have in the past, they were a bit...cheesy for my taste. Well, obviously, I wasn't tasting the right kind. 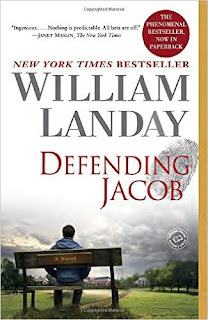 First, my regular book club chose Defending Jacob, by William Landay, for our book this month. We met on Saturday to discuss it. It is a great novel, but not a happy one. The premise is a teenage boy is murdered in the park on his way to school and another boy is accused of the murder. 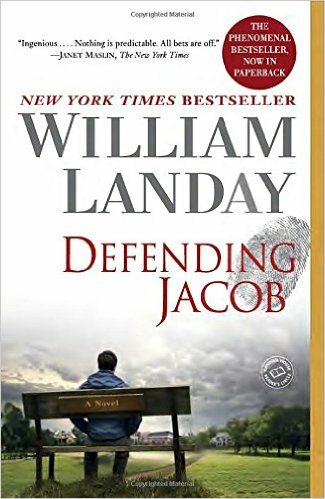 The boy accused of the murder just happens to be the Assistant District Attorney's son. There are many sides to this story, and it definitely keeps you interested. No boring pages in this novel. The book is heart-wrenchingly good...and more than a bit creepy. 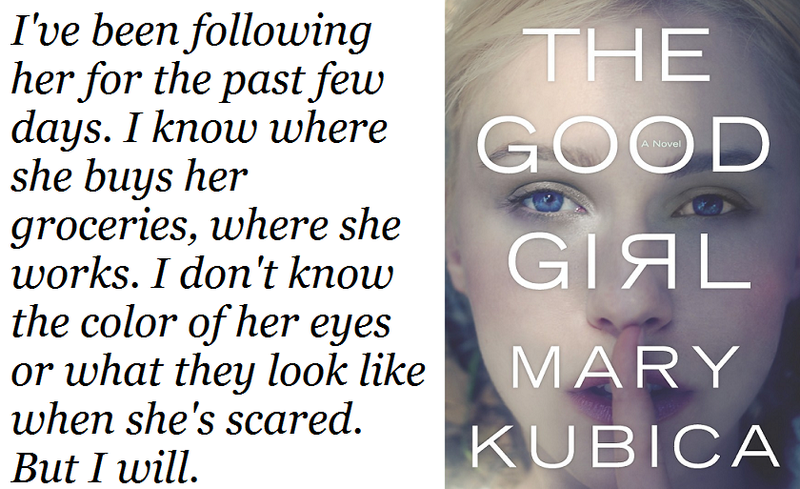 Second, I just finished (and by 'just', I mean less than 10 minutes ago) Mary Kubica's debut novel from 2014, The Good Girl. Wow, what a ride! This book was recommended to me by one of my advanced reading students. Actually, it was more than that. She didn't simply recommend it, she brought her copy to school, put it in my hand, and told me to read it. My student has excellent taste. 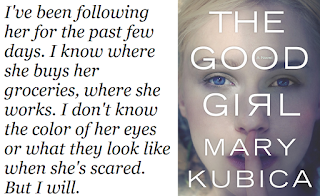 The Good Girl is not a young adult novel, it's an adult fiction book. It's a bit complex in the way it is set up, but I liked it that way. I will tell you that the novel jumps around between characters and points-of-view. It also goes back and forth between the present and the past. It is done very well, but I know some of my friends who don't like when a novel does that, so...don't say I didn't tell you up front. The novel is a story of a young woman who gets abducted. In the story, we hear from the kidnapper, the mother of the victim, and the detective in charge of the case. We hear about the victim from the others, but don't hear from the victim herself. It's an interesting thriller, with lots of unexpected twists and turns. I really enjoyed the ride and look forward to discussing it with my student tomorrow. That's all I have for tonight, folks. I'm sorry to cut it short, but it's been a glorious day filled with family and friends celebrating my granddaughter's second birthday. I'm barely able to keep my eyes open as I write this, but I was determined to put out the good word for these two novels before I went to bed. I hope you all had an enjoyable weekend, and a beautiful World Book Day! !